New stamp sets, new ribbons, new brads, a couple pads and reinkiers, new punches, new Designer Series Paper (all of the ones I ordered are absolutely wonderful. I didn't find a single page I wouldn't use!! ), new cork sheets, new magnet sheets, new rhinestones, new pearls, oh my!!! 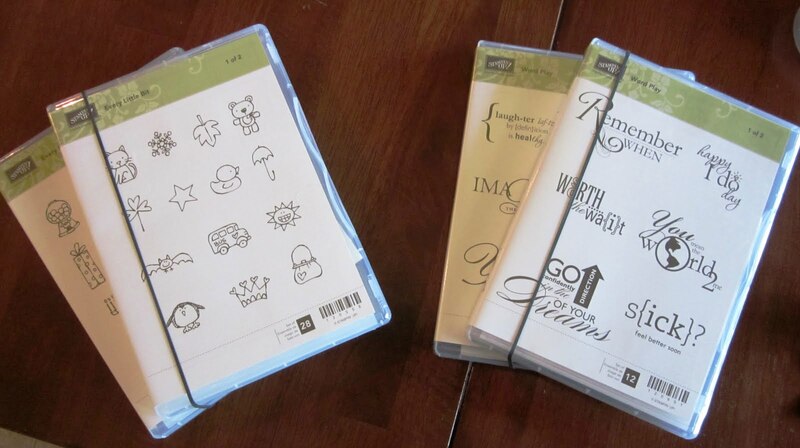 New packaging on single Stampin' Write Markers and new packaging on the brads...no more compartments to separate the colors. The new brad colors are fabulous! 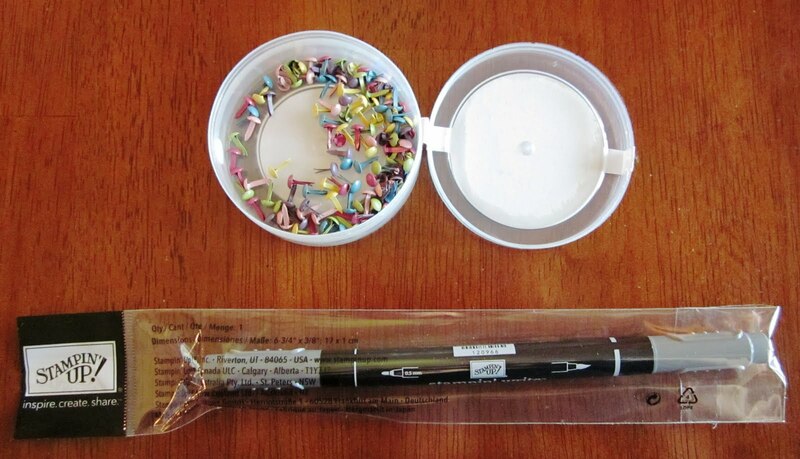 Clear Mount stamp sets that have lots of pieces come in 2 cases. They will probably all fit in one when mounted, we'll see. Another shipment of new catalogs...that poor UPS man probably has a backache after visiting my house! Holiday Mini and Occasions Mini Catalogs -- Some Items are Still Available! With all the new mini catalogs in addition to our big catalog, it can get a little confusing to which fun stamping products are current and which ones are retired. Here is a rundown of all the products from our past mini catalogs that can still be ordered if you were sad you missed them the first time! To download and print your own 2-page supplement that you can tuck in your catalog, click HERE. I hope that helps clear up the mini catalog questions! Another bit of news, retiring colors are going fast! If you haven’t taken inventory of paper, ink refills or ink pads you need, better go check and email me your orders! Click HERE for a printable PDF of all the retiring colors. On June 1st, the retiring stamp set list will be coming out and I’ll post it here for you! If I can assist you in ordering any of these items you may e-mail me at rach@friendshappen.com or place the order yourself at my ONLINE ORDERING site (just click on "shop now" at the top of the page). If you have questions, e-mail me and I'll do my best to find answers for you! Welcome to the 2010 Summer Mini Catalog! Hello everyone and Happy Monday! 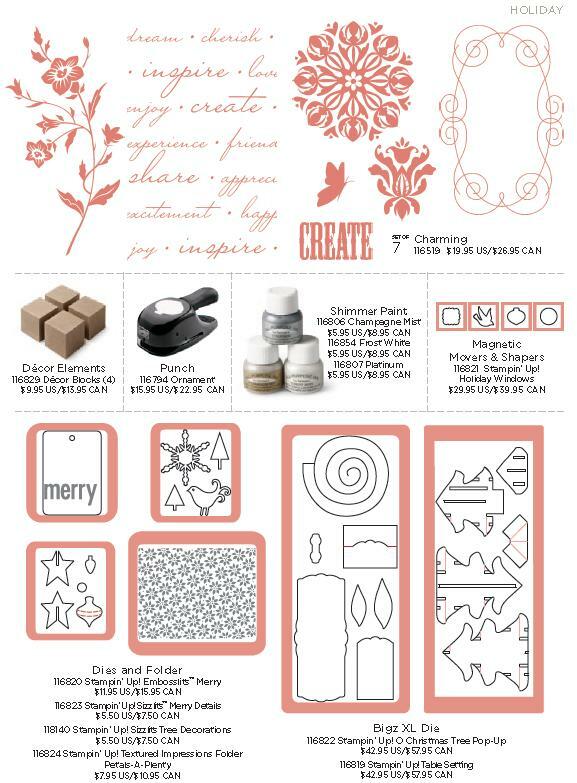 May 1st was the reveal of the brand-new and fabulous Summer Mini Catalog from Stampin' Up! Goodness, what eye candy awaits you as you explore the pages of the great new mini catalog! Click on the catalog below to open up the PDF file and see all 32 pages for yourself. Or, if you would rather have your own hard copy to mark-up, dog-ear, and drool-over, drop me an e-mail at rach@friendshappen.com and I'll put one in the mail to you today! Check back at FriendsHappen! often for lots of project ideas, pictures and tips for using these fabulous new products!